One of the perks of this job is getting to meet such a wide variety of people. It's always a joy to venture to a new neighborhood, meet a nice family I would otherwise never know. And then get to create something unique and personal for them. This family is celebrating their new home in Webster as well as Jena, their daughter getting another year older. Jena loves their two bunnies and riding horses. 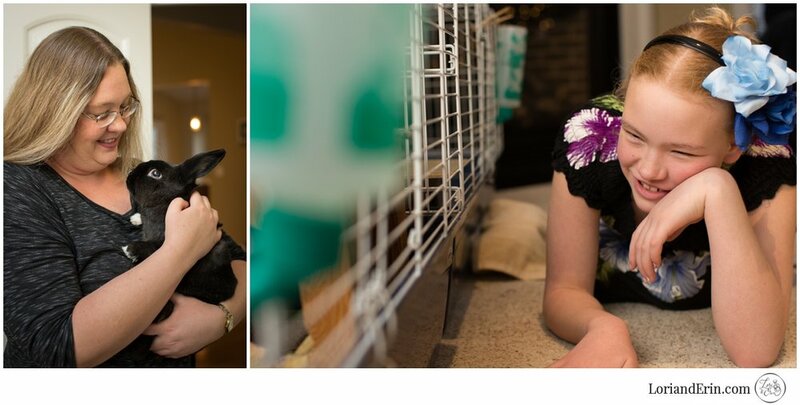 My favorite part was just watching Jena's eyes light up when she got to hold the bunnies. They were most authentic smiles out of this girl! We love working with you to tell your story, in your own home. Give us a call or tag someone that you think would enjoy our work, won't you pretty please?